And the new rules I follow when shopping for clothes. This is Part 2 of a Four-Part Series. Start here, if you missed Tuesday&apos;s post. 1. Remove everything from that category, in this case clothing, and place it out where you can see all of it. I put everything on my bed, but Tricia suggests placing everything on a clean floor if the bed isn&apos;t enough space for you. 2. Start with the items that rest nearest to your heart, like tops. Tricia instructed me, "Take each piece and, one at a time, hold it to your heart." 3. From there, simply ask yourself the question, "Does this &apos;spark joy&apos; for me?" 4. If the answer is "yes," return it to the "keep" pile. 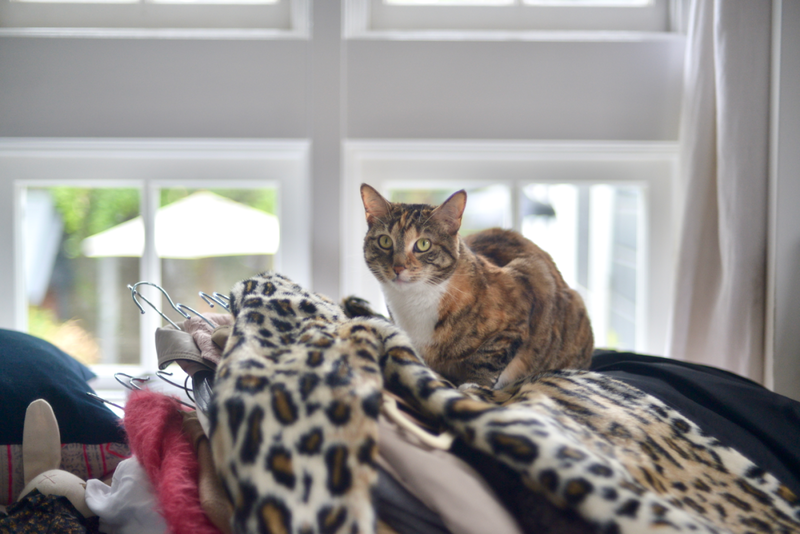 With "discard" items, decide whether to donate it (I donated my clothes to Out of the Closet in Los Angeles and to Dress for Success), discard it (items that are too worn to wear, but can be donated to a textile recycling program near you), or sell it. I also had a number of "action items," or things I needed to dry-clean, steam, etc. before placing them back in my closet. We jokingly called these my "sparky" moments—when I held an item and knew it was an immediate "yes," like the oversized pink coat that makes me happy each time I wear it. For the most part, the &apos;absolute yes&apos;s&apos; were items that I both wear often and have sentimental value to me. My Burberry coat with leather sleeves was a perfect example of this—I bought it on my honeymoon in Italy with G, and still wear it often. There are some categories that don&apos;t exactly &apos;spark joy&apos; but bring comfort, like underwear, socks, and other basics. Still go through these items—there may be underwear you don&apos;t wear anymore (or two dozen in my case), or a tank top that doesn&apos;t fit quite right. It&apos;s okay if these items don&apos;t &apos;spark joy&apos; in the same way the &apos;absolute yes&apos;s&apos; do, but be honest with yourself if they&apos;re actually things you still wear. 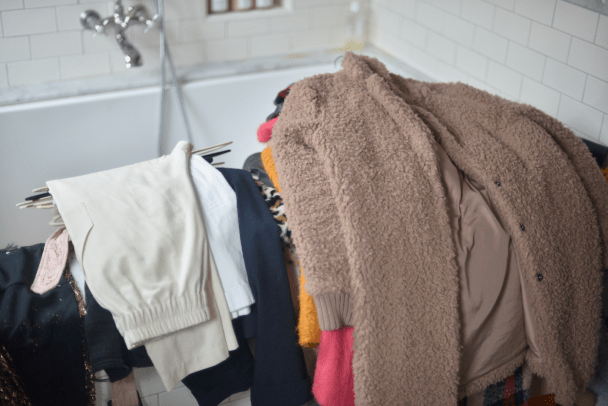 While this is an entirely separate category of KonMari (which I&apos;ll address in a later post), several of the items that &apos;sparked joy&apos; for me were purely sentimental, even though I rarely wear them, if ever. For example, I purchased a dress over ten years ago that was a huge splurge. At the time, I remember thinking something special would come of it—turns out I was right. The first time I wore it is the day I met Geoffrey. I rarely wear it anymore, but I love keeping it since it reminds me of how much it led to. That being said, there were a few items that fell somewhere between these categories, like a dress I think has some really cool details, but Geoffrey doesn&apos;t love. I&apos;m a huge Words of Affirmation person, so when Geoffrey&apos;s reaction is "Eh," I take it to heart—still, in this case, it gave me enough joy that I decided to keep it. Once you&apos;ve decided what to keep, do not return it to the closet until you&apos;ve finished with the process of discarding. Instead, Tricia helped me corral each item into piles of similar items in my bathroom (photos above). 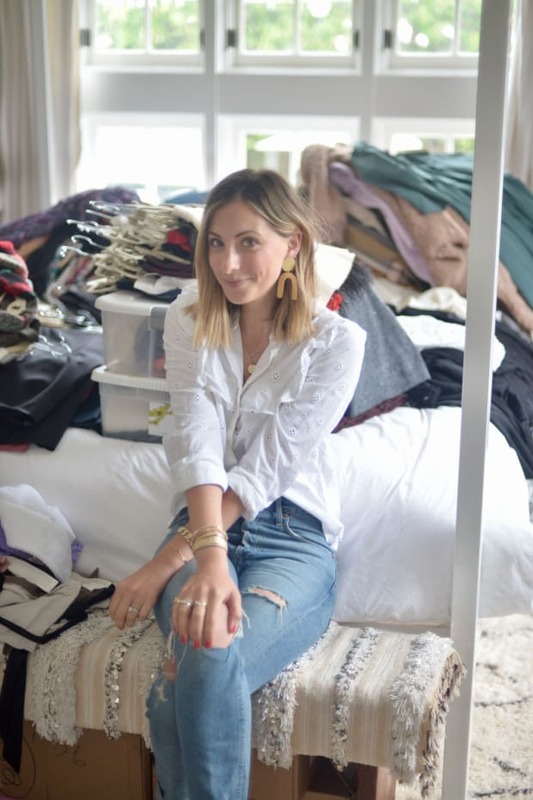 Once I&apos;d gone through my entire closet, Tricia taught me to KonMari-fold each item, and organize it in my closet by category and color. Some of the most difficult items to part with were those I&apos;d splurged on, but rarely wear anymore. 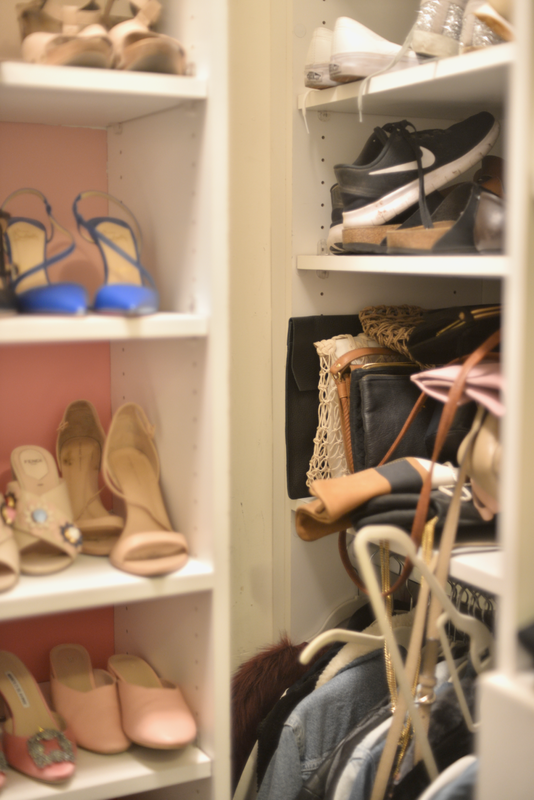 Even though I no longer reached for them, it felt like I was justifying the cost just by keeping them in my closet—but the truth is that they aren&apos;t gaining value, or more importantly adding value to my life, just by hanging in the closet. Coincidentally, this is the same principle of &apos;sunken cost fallacy&apos; in economics, and in relationships where we are afraid to part ways simply because of the time and energy we&apos;ve already invested in them. Just looking through past outfit posts, it becomes clear how dramatically my style has changed over the years, and there were many items in my closet that I loved in my 20s that I confused with loving now. With the exception of a few sentimental pieces, I was able to donate most of these items. There were several items I realized I&apos;d kept because I loved the idea of them, like a sweet sweatshirt with ombré blue lines (see photo above) I could see myself wearing on Sunday to walk to the farmers market. But in actuality, I&apos;d owned it for years and rarely reached for it. On the flip side, I realized that when I could think of a specific time I&apos;d wear something, rather than "someday," like for a friend&apos;s birthday party that weekend, it was almost always worth keeping. When I pulled out a brown cape jacket with a faux fur trim, I immediately thought "This would be perfect for dinner tonight," which, for me, was reason enough to keep it. Many items in my closet felt young or dated—and not in a good way. One dress had a cool vibe that, again I liked the idea of, but gave me a surfer girl look that didn&apos;t feel like me. 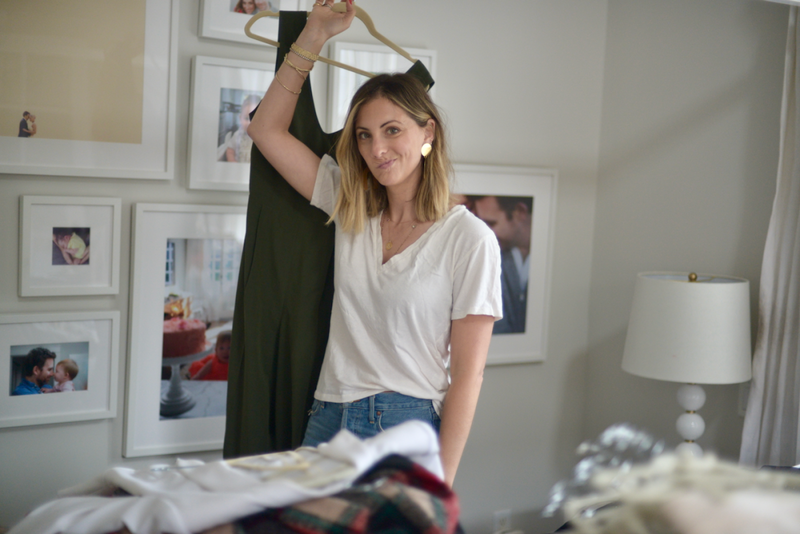 This really comes down to being honest with yourself and your personal preference, but there were countless pieces I never wear simply because they either require a trip to the dry cleaners or need to be steamed after each wear (both of which, I dread). Especially as a mom, I gravitate towards easy pieces I don&apos;t need to be precious with, and ended up selling many of my higher-maintenance items. In the same vein, there were items I knew bunched in unflattering ways and required very specific styling, which I sold in favor of throw-on-and-go staples. As I mentioned above, I respond strongly to words of affirmation, so anytime a girlfriend or G encourages me to buy something I&apos;ve tried on at a store, I usually purchase it—even if, deep down, I know I don&apos;t love it. This is in contrast to the times I put something on and practically dance out of the dressing room in it because I love it so much. I learned in this process that if I have to ask someone&apos;s opinion on something, it&apos;s probably not worth buying. One of the elements I appreciate most about KonMari is what an effective job it does of dispelling guilt, which is often the primary emotion I grapple with when editing my closet. I feel guilty when I haven&apos;t worn the blouse my mom gifted me years ago, and guilt that I splurged on something that never really flattered me. 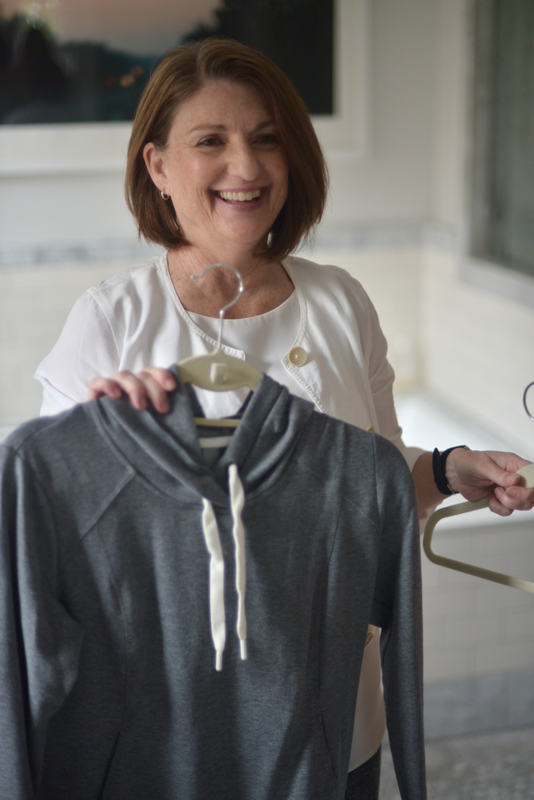 Tricia had me reframe this guilt so that instead of thinking about how I was no longer using the item, I thought of how much joy it would bring someone else who needs a warm sweater, or finds their dream outfit in the dress I no longer love. 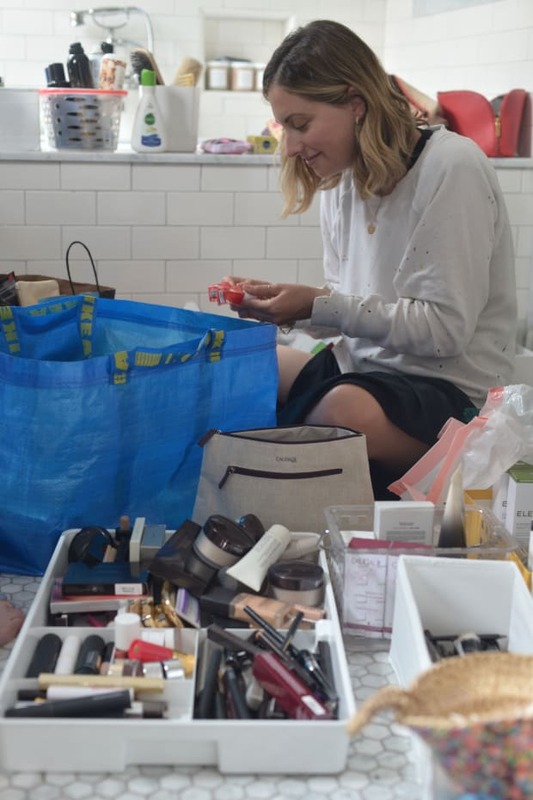 Before putting anything into the donate or sell pile, she encouraged me to silently express my gratitude to whatever that item was, which felt silly at times, but also helped me to feel more intentional about the items I was removing from my own home. 3.) Gift to a friend I know would love it. Most of the things in my discard pile were items I&apos;d purchased on sale. If I even start to think, &apos;this blouse would work if only I nipped it in with a belt, and threw a blazer over it&apos;, it&apos;s probably more effort than it&apos;s worth. Just because another girl may look effortless in a shapeless, flowy white dress does not necessarily mean it will have the same effect on me. 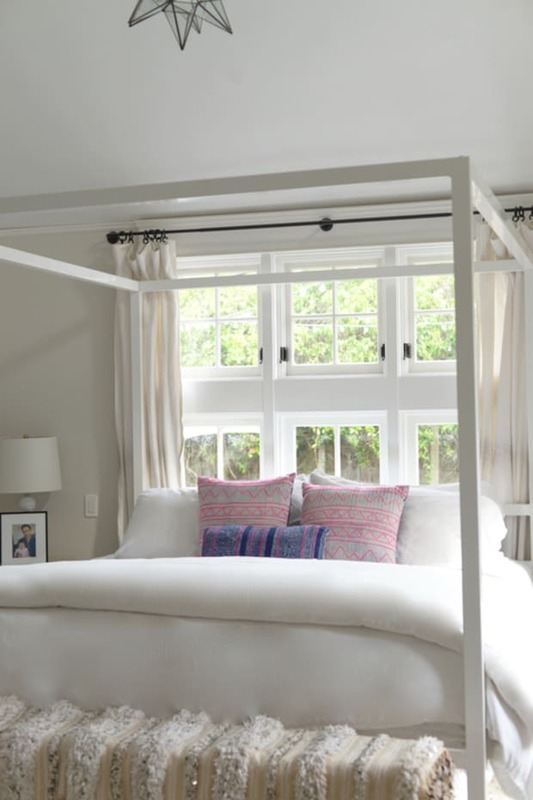 Thank you to Tricia Fidler of Heywood Park Collective for contributing her help and expertise to this post! I&apos;d highly recommend her to anyone in Southern California looking to KonMari their own home. You can contact her here and follow her here. P.S., This is Part 2 in a Four-Part Series on tidying with the KonMari Method. Stay tuned for Part 3, coming soon!